A chat with Professor Jim Virdee, CMS’s spokesperson. Ed Vaizey, MP for Wantage and Didcot, visited CERN last spring. 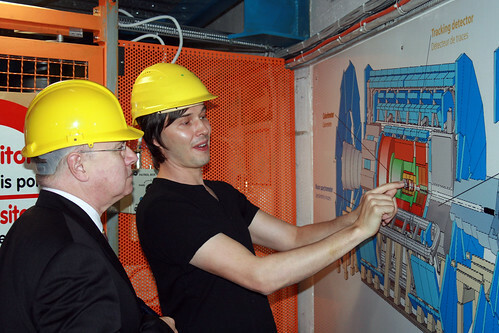 He had a Q&A with John Ellis on the physics being done at CERN, was shown around ATLAS and had a chat with Brian Cox about science, politics and UK science funding. Chris Morris is considered to be one of the greatest satirists ever and has been responsible for some of the most controversial, and let’s face it funny, programmes on television. In the UK, comedy writers and performers ranked him number 11 out of the 50 greatest comedy acts ever, above people including Bill Hicks, Peter Sellars and Eddie Izzard. Apart from being a comedy great, he’s an incredibly interesting guy. He’s performed with Peter Cook, Stereolab used his sketches as lyrics on one of their albums, he won a BAFTA for his first short film and, for ‘Brass Eye’, he tricked a British politician into asking questions in Parliament about a made-up drug called ‘cake’ (which still remains in the public record). Oh, and he’s also really into science. Brian and Chris have been friends for several years now. When they get together, conversation tends to start on politics (Brian’s favoured topic of conversation) and move swiftly onto what’s being done at CERN (Chris’s favoured topic of conversation). Brian decided to invite Chris out to Geneva in order to see it all for himself. 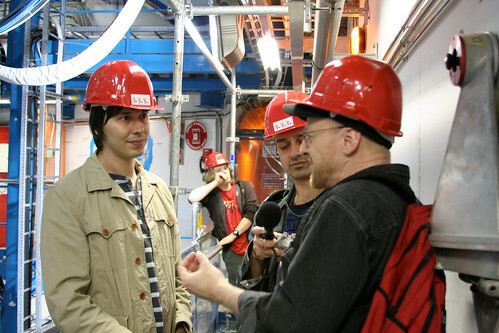 Along with Brian, Chris also spoke to other CERN physicists Thorsten Wengler and Albert De Roeck. This podcast takes us to both ATLAS and CMS. 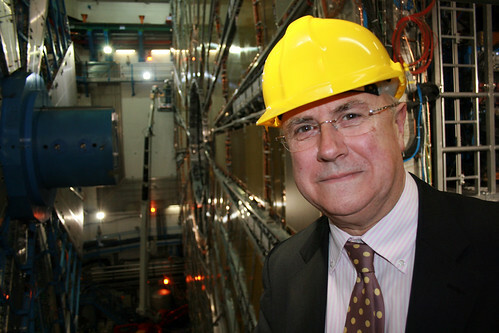 We normally go to ATLAS, this is the first time CERN Podcast has recorded at CMS. If you’ve never seen CMS before, make sure you have a look. 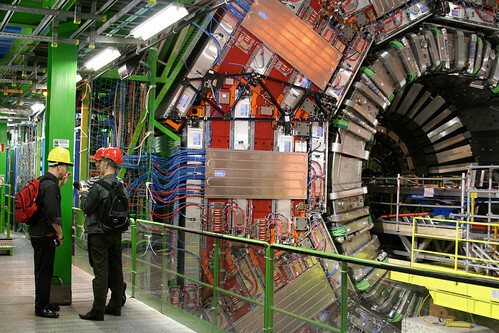 Subscribe to CERN Podcast on iTunes or RSS. 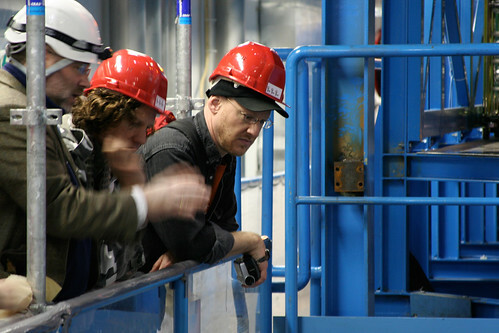 More images of Chris at CERN available at our Flickr account (opens in new window). You may also be interested in our podcasts with Kevin Eldon and Simon Munnery. 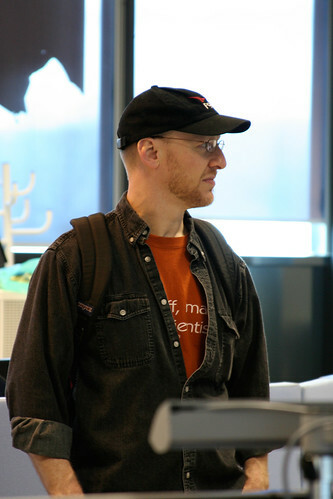 Who better to invite to CERN, than the internet’s most popular astronomy blogger, Dr. Phil Plait, the Bad Astronomer? 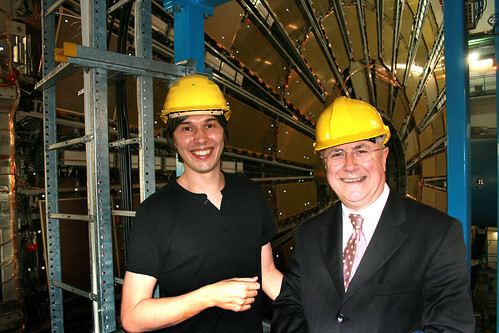 Phil and Brian originally met in 2005 when Brian interviewed Phil for a BBC programme about the Deep Impact mission. Since then, they’ve stayed in touch regularly. Phil was even interviewed about science in science fiction for ‘Sunshine’, the film on which Brian worked as the science consultant. Back off, man, I’m a scientist. Quentin Wilson is one of Britain’s best-known motoring experts. He presented the BBC’s Top Gear for over a decade before leaving for Channel Five’s rival motoring programme, Fifth Gear. 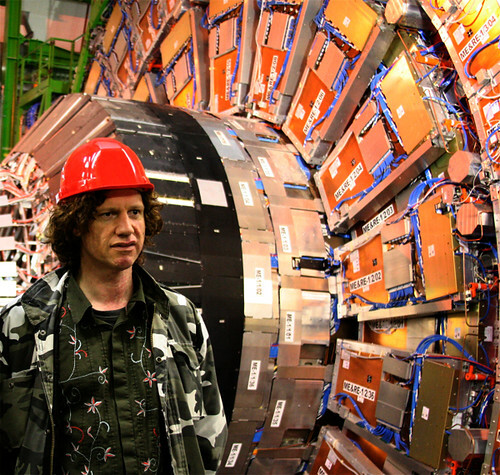 We invited Quentin to come to CERN because of his interest in engineering, he left with a deeper understanding of the Universe and humanity’s place in it.